Flowers are a key feature of any wedding. Recent years have seen an increasing trend towards lush bridal bouquets, bold floral designs and opulent flower arrangements; a trend that is continuing this year. 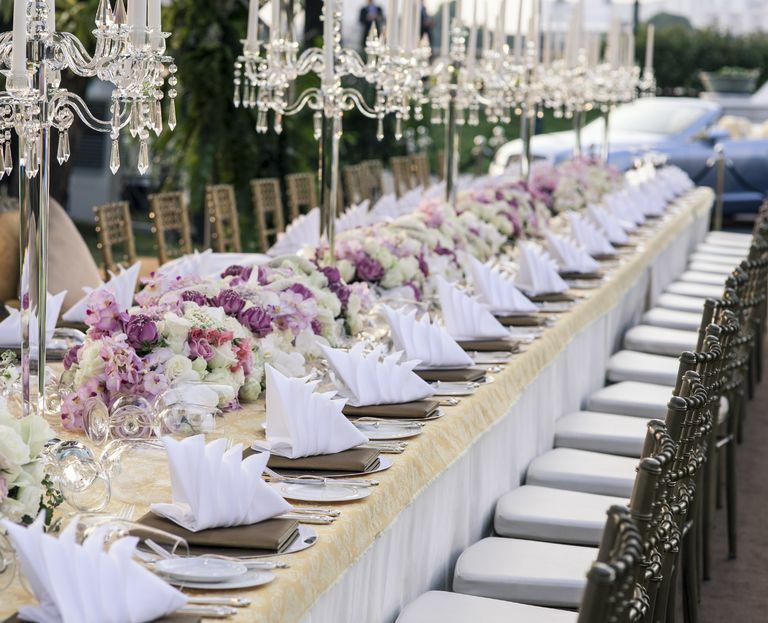 To help you make the perfect decision when choosing wedding floral arrangements, we work with great suppliers and the most professional flower designers in each of the Italian regions. As a general rule, Italy has the same flower varieties as in the UK or in the United States or Australia. Popular classic wedding flowers are widely available, including peonies, lisianthus, carnations, geraniums, hydrangeas and, of course, roses. Lisianthus flowers in delicate pastel shades are perfectly suited for table decorations and displayed in small vases they lend a very special, elegant touch. Another popular choice is a bridal bouquet made of carnations with their distinctive and striking shapes. The selection of flowers available depends upon the seasons; much more so than in other countries. At certain times of year many species of flowers have to be imported into Italy, which often leads to high prices. Anyone wanting hydrangeas for a September wedding in Italy, for example, will be faced with almost prohibitively high prices. For this reason, we recommend that our bride and groom use Italian flowers for their decorations. Typical Italian plants will add a very special touch to a wedding and help to bring an Italian atmosphere to the celebrations. We are happy to advise you what types of flowers will be the best fit for an individual wedding and for the season. Our floral designers combine classic flower varieties, such as roses or peonies, with typical Italian plants like vines, olive branches, grapes and pomegranates to provide a natural, eye-catching spectacle. We especially love decorating with fruit for romantic weddings during the winter months. Olive branches can be combined with elegant flowers like white roses to create a beautiful and stylish rustic arrangement. Limes or lemons are also great decorative elements that can be adapted in various ways to give a uniquely Mediterranean wedding decoration, whether as a complement to flowers or on their own. For a marriage celebration with a typical Italian atmosphere, Mediterranean-inspired, Italian flower arrangements are always a success.